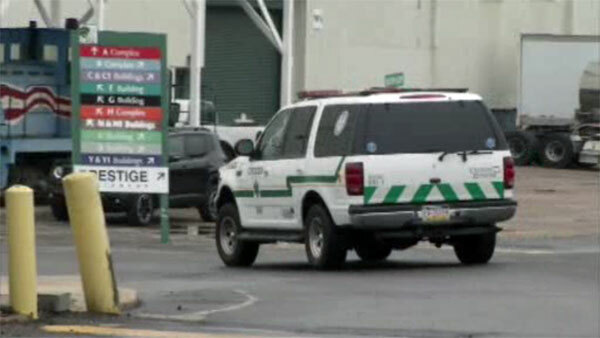 TINICUM, Pa. (WPVI) -- A man was killed in a forklift accident on Tuesday afternoon in Tinicum Twp., Delaware County. It happened at the Airport Business Complex around 1:40 p.m.
Rescuers responded for a report of a man underneath a forklift. Medics arrived and pronounced the 35-year-old victim dead at the scene. There was no word on how the accident happened. Investigators say the victim is an Upper Darby resident, but his name has not been released.